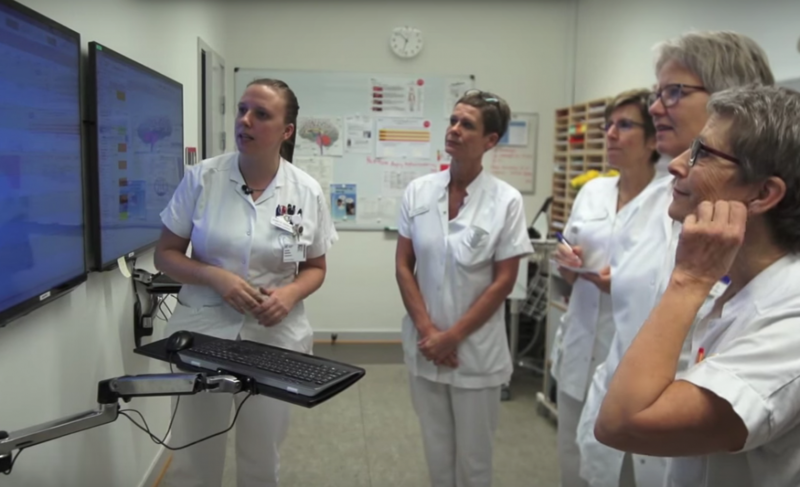 Worked with several institutions within both primary and secondary sectors across Denmark in creating digital systems that would optimise workflows for healthcare staff. Early Warning System is automatic and manual storing of vital parameter readings on smart devices that are linked to a central board which visualises and monitors patient’s well-being over time. This means next parameter readings are automatically planned according to level of urgency – and relevant staff automatically notified. Simple to get an overview of progression over time without having to study several individual values. Assists staff in the hand-off at shifts by sorting patients by level of acuteness. I was part of user research, concept development and continuous testing. The Early Warning System was adapted through development work with each council or hospital department. Solutions implemented in places such as København Primary, Roskilde Primary, Frederiksberg Secondary and Bornholm Secondary.